WhatsApp for Android has added some new features and bug fixes in its latest updates. Earlier, it fixed a timestamp issue found in the WhatsApp beta version 2.18.109. Now, the messaging app has introduced a new feature that lets users download deleted media files. Previously, when users deleted specific files sent over WhatsApp by going to the specific folder on the smartphone, they were not able to download it any more. But now the Facebook-owned messaging app enables you to download such files as well. 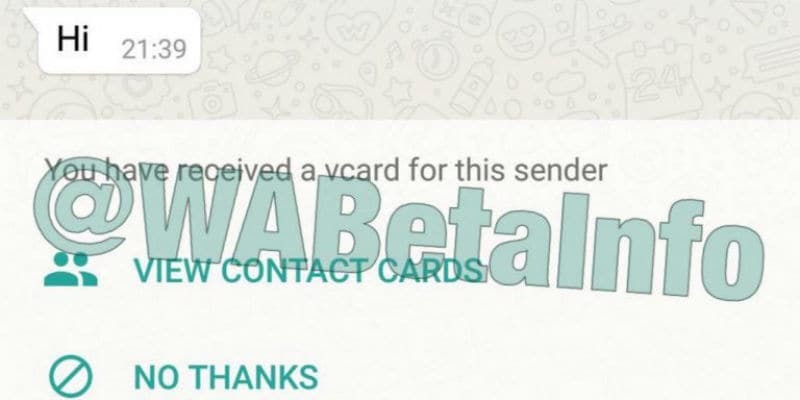 Separately, a WhatsApp beta for Android update (v2.18.111) reportedly added the vCard indexing feature. As per a WABetaInfo report, WhatsApp now allows users to download deleted media, such as images, videos, GIFs, voice messages, and documents, from its servers again. The report said that the feature was introduced in WhatsApp’s recent updates between version 2.18.106 and 2.18.110. Gadgets 360 has been able to verify the new feature is currently available in the WhatsApp version 2.18.113 on Android. However, the app does not seem to let us download media files that are too old, instead, asking us to send a request to the sender to send the media again.